I’m a firm believer in the idea that we need to hold our students to high standards when we teach history. I am also (perhaps somewhat paradoxically) a firm believer in the idea that to get students enthused about meeting those standards, we need to make history approachable. And so I sometimes pander. This semester I’m teaching what is essentially a colonial America class called “Accommodation, Violence and Networks in Colonial America.” I’ve included a week on the Atlantic World—no small feat given the fact that one of my colleagues devotes a whole semester to it—and so I had to grapple with reducing the notion of Atlantic empires into something that was easily digestible. To deal with the problem of summarizing the key identifying features of the Spanish, Dutch, French, and English empires in the early modern period, I turned to the delightfully dysfunctional Bluth family. 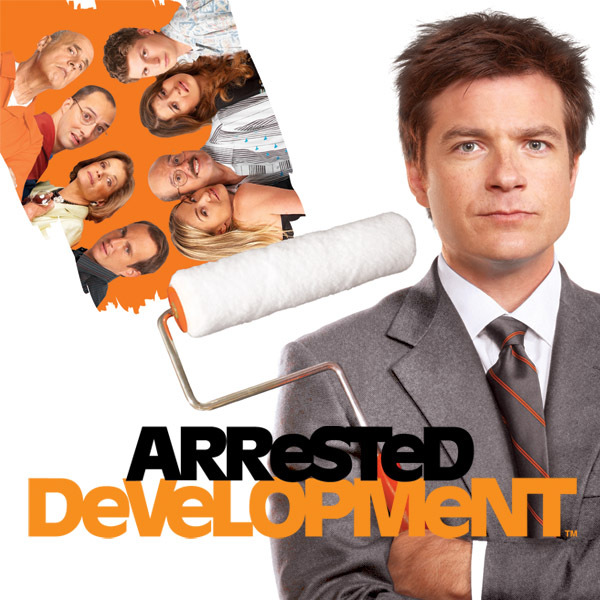 For the (woefully) uninformed, Arrested Development follows the trials and tribulations of the California-based Bluth family, a once-wealthy clan that’s fallen from grace, and is composed, for the most part, of terrible, selfish, egotistical people. The show aired from 2003 to 2006, garnered a cult following, and enjoyed a long-anticipated revival season on Netflix last year. I use Arrested Development at the start of my Atlantic World lecture to paint a broad (and admittedly simplistic) picture of how the different Atlantic empires functioned on their own terms and in their interactions with each other. I should point out that this portion of the lecture takes up no more than five or ten out of our forty-five minutes, but I think it’s worth it because my caricatures provide students with a starting point from which they can challenge what I’ve told them about Atlantic history. Because the shape of the course proceeds somewhat chronologically, I start with a slide of Gob Bluth, who represents the Spanish Atlantic. Gob is obsessed with magic tricks illusions, and his fanaticism parallels the missionary drive that characterizes Spanish interest in, and colonization of, the New World. Gob is at times unpredictably violent — like the Spanish — though his brief (if fleeting) moments of genuine concern for others also point to the extent to which other empires and, consequently, later scholars have over-emphasized the violent aspects of Spanish colonists (sometimes referred to as the Black Legend). Also, Gob is kind of really into boats, and everyone knows that boats are crucial for colonization in the Atlantic World. Like the Spanish could have created a New World empire without ships; come on! George Sr. is up next, representing the Dutch Atlantic. George Sr. is most memorable for his refrain “there’s always money in the banana stand”: a piece of advice his son Michael interprets as an ongoing obsession with finances. Like George Sr., the Dutch Empire is historically portrayed as one invested in pursuing its economic interests. George Sr.’s willingness to convert to Judaism while in prison in turn underscores the Dutch Empire’s tendency to allow people of different faiths to come to New Netherland, part of which comprises modern-day New York. This outlook contrasts sharply with the Spanish, who were intolerant of non-Catholics. Then, there’s Lindsay Bluth, George Sr.’s only daughter, representing the French Empire. Lindsay Bluth is pampered, to put it mildly, and a bundle of contradictions. When she is not protesting on behalf of animal rights, for example, she is really into furs, much like the French Empire. For decades the French drove the New World fur trade from what is now Canada, despite the protestations of French missionaries, who worried that traders manipulated Native Americans. Lindsay’s own on-again, off-again relationship with religious conversion — best exemplified by her soul-searching visit with a shaman in India — in turn corresponds to Jesuit efforts to convert Native Americans, particularly Hurons. The French were relatively successful on this front (especially compared to the English), but attacks by Iroquois Indians in the 1640s undermined this effort — as did ongoing conflicts between Jesuit missionaries and French fur traders. The extended simile stops here, because three empires are more than enough to contend with for the duration of one lecture. Later in the semester though, I turn back to Arrested Development to discuss English strategies of New World colonization. 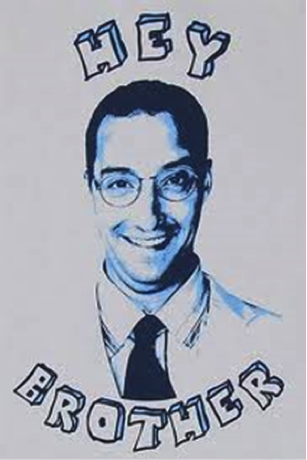 And here is where Buster, Arrested Development’s quirkiest character, comes in. Buster is awkward, and his foibles provide a useful foil for discussing the fits and starts of English colonization—starvation at Jamestown and a lack of policy regarding contact with Indians. Like the English, Buster is a little confused about his expertise in mapping New Worlds (a propaganda map drawn by a young English surveyor named George Washington played an unexpectedly critical role in setting off the Seven Years’ War, for example). But I’ve found Buster most useful for discussing the period around 1700, when Englishmen first start to really interact with Iroquois Indians, in a very different manner than did the French. In Indian-French diplomacy, for example, the French expected Native allies to refer to them as “father,” never mind the fact that Indians and Frenchmen understood the term differently. To the French, “father” connoted a sense of obedience and perhaps even fealty, suggesting the extent to which French officials enjoyed power over Indian allies. Indians, on the other hand, likely understood the term as a representation of a weak and indulgent patriarch who would grant his “children” favors and presents. Whatever the divide between French and Indian ideas about fatherhood, the fact remains that Indians point-blank refused to use the term in their diplomatic relations with the English. At this point in the semester my parallel-making has once again been put on hold. Historians of the Atlantic World have spilled a lot of ink debating whether or not the Atlantic World holds its own as a geographic area of study as well as a valid historiographical concept. It’s garnered flack for being too big, too chronologically broad, to full of counter-examples and bits that don’t fit into the model. And I’d assume that some readers of this blog might question whether Atlantic history is primarily transnational, imperial, or indeed global in nature. Nevertheless, the exercise of reducing that world to characters on a popular sitcom can be useful as a teaching tool because it reveals the extent to which that history can stretch at the same time that it elucidates the field’s limitations. I like my similes, while at the same time I recognize the extent to which I’ve simplified the complexities of both Atlantic History and Arrested Development. But hopefully this issue of oversimplification is not insurmountable. After all, I’ve still got Michael, George Michael, Maeby, Oscar, and Lucille. So maybe the comparison, much like Arrested Development from 2006 to 2013, is simply on hiatus. In the meantime, I hope that historians of empire and fans of Arrested Development alike can offer further parallels, or offer corrections to my own. Of course, the latter assumes that, somewhere along the way, I’ve made a huge mistake. See, for instance, John Grenier, The First Way of War: American War Making on the Frontier, 1607-1814 (New York: Cambridge University Press, 2005); Wayne E. Lee, Barbarians and Brothers: Anglo-American Warfare, 1500-1865 (New York: Oxford University Press, 2011). This was an amazing article! I do hope you finish it. I have a couple suggestions which might interest you. Although, I may be getting into a later imperial age (by which I mean the 19th and 20th centuries) with some of this stuff. Of course to make the simile work we may have to leave behind overt ‘imperialism’ and move into ‘covert imperialism’ but I think the exercise is worth it.